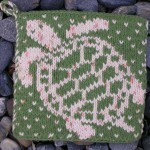 Here’s the turtle pot holder I made for my ex’s Mom. 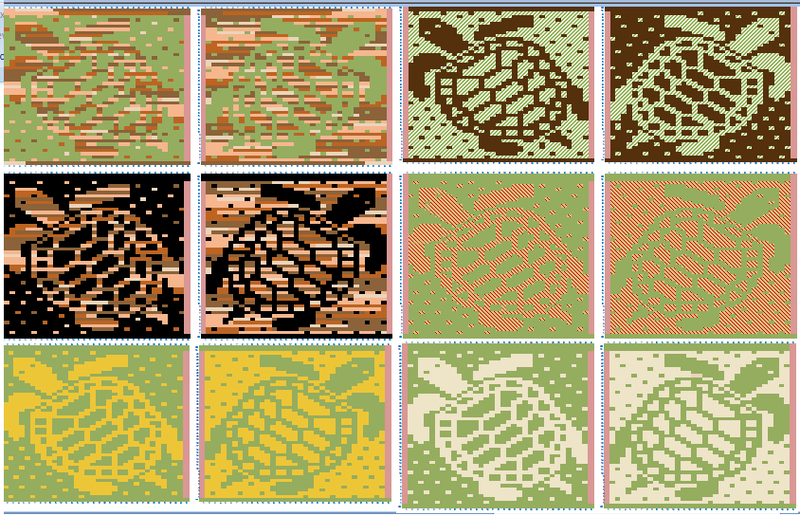 Â We still are friends and she has a large turtle collection, so I made this pattern for her. Â She was over at the house and we discussed color options, but after she left I was concerned that the pattern would not have enough contrast. 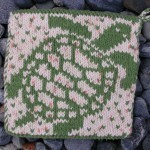 Â She chose a lovely coral & brownÂ variegatedÂ yarn to go with the green yarn which I used. Here are some of the color combos that were evaluated. Â The colors she requested and I tried are shown in the 1st row, left side yarn combo. 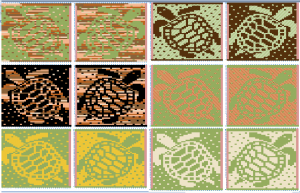 Â I tried to see theÂ contrast-abilityÂ both in a yarn sample and on paper and both were strong indicators that the turtle design would show poorly, so I tried the black with the browns and I thought it would look great, but she didn’t want black…so I kept playing on paper. 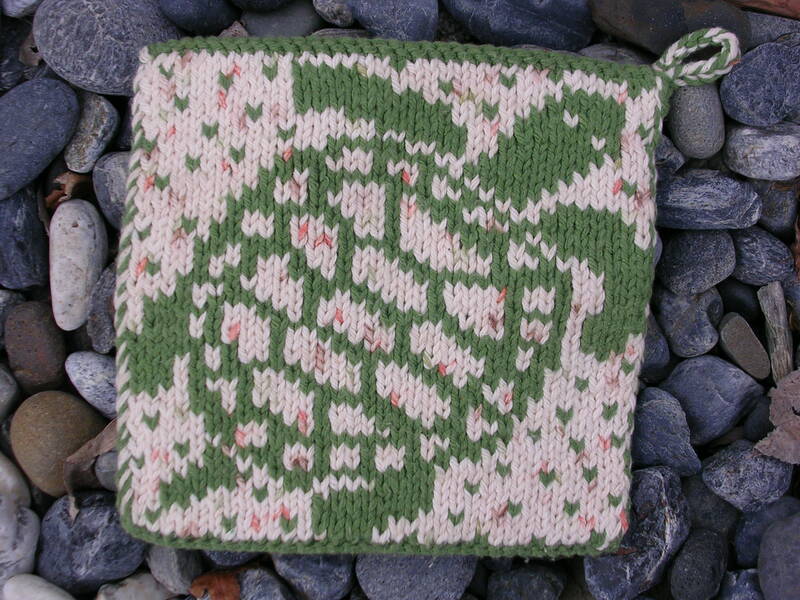 I ended up using Lily’s Sugar’n Cream in ‘Sage Green’ and ‘Sonoma Print’ Â yarn which is a ecru color with short dashes of rust (that washed out to a coral), brown and green. Â Note: the dashes of rust color bleed onto my towel as I blocked it. Â (frown). I added the dots to the background to help hold the front to the back. Â And they ended up looking like sand or tiny tuffs of grass which adds to the nature look. 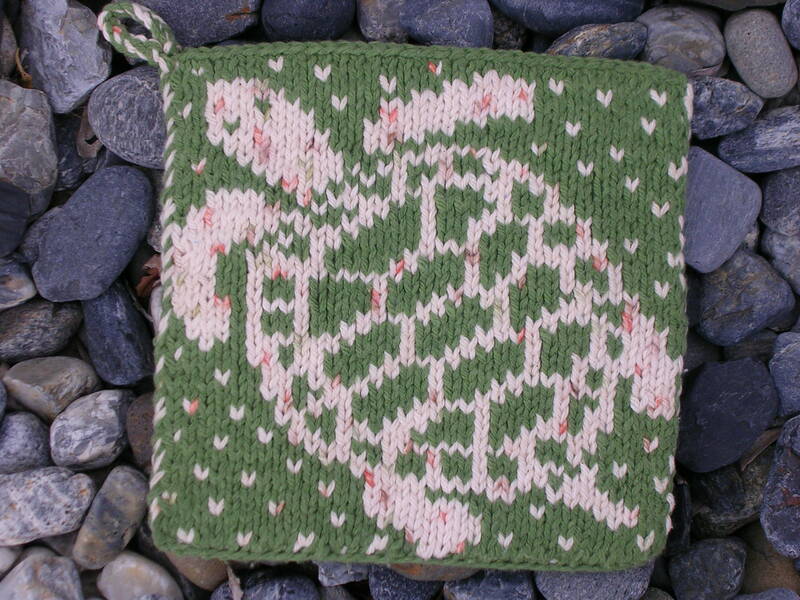 I love this potholder! Your Claddagh potholder is lovely too. I found it on Ravelry and am planning to knit it soon. Thank you for the free Claddagh pattern. Are you planning to make this pattern available to knitters in some way, or is it already available and I am missing something? I checked on Knitting Daily and Ravelry.